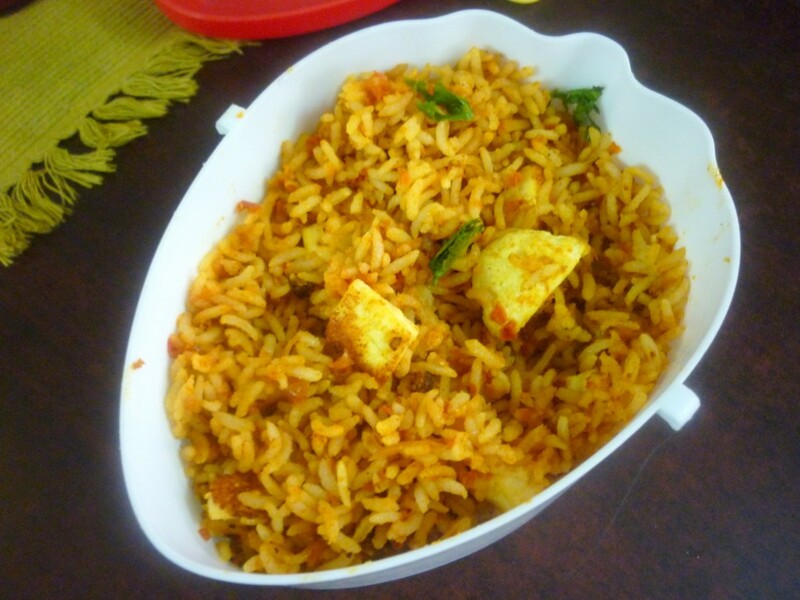 For the final day of the Blogging Marathon 13th Edition, I decided on making a simple tomato fried rice with paneer added to give extra kick to the dish. 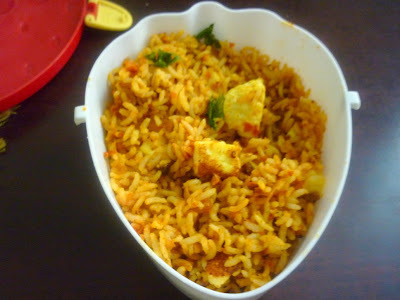 It was quite hectic at home and I was as usual only able to make this on the day I sent for her. As I always feel a week just takes a moment to get vanished. However I really enjoyed as I attempted some wonderful dishes for my daughter, which I hope will be of some help to other moms. Before jumping into the recipe, a quick recap of the last six easy lunches for kids! 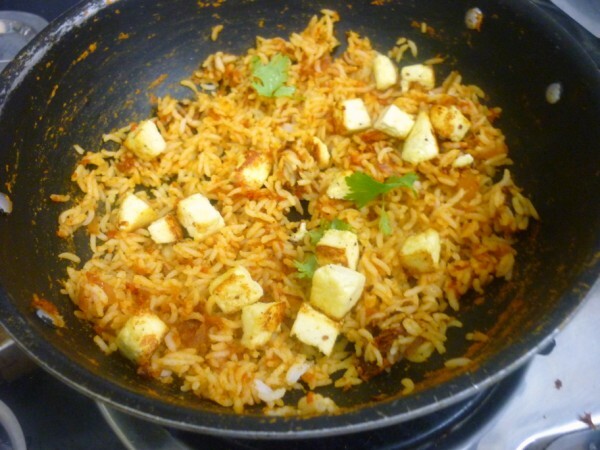 You can use either homemade paneer or store bought. 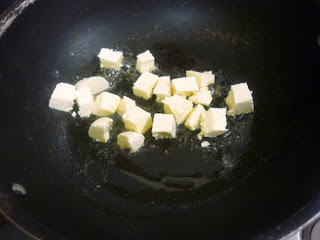 Wash and cut the paneer into small bite size pieces. Heat a non stick pan with a tsp ghee, saute the paneer till golden. Remove and keep it aside. 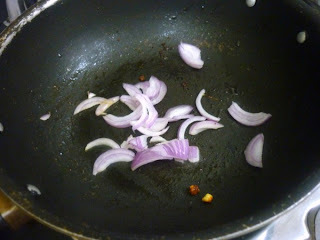 In the same pan, add a tsp of oil, saute the onions till brown. 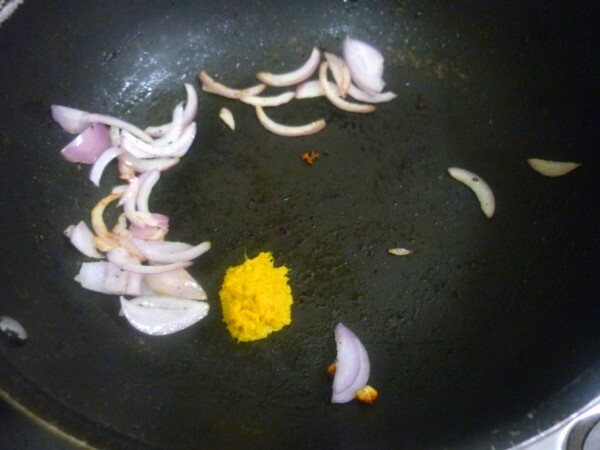 Add the ginger garlic paste, saute well. 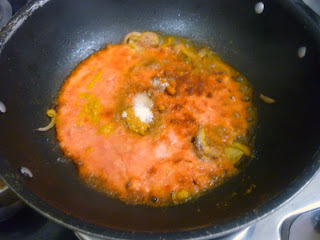 Puree the tomatoes and add once the onions are done. Add in all the spice powders and saute well in simmer. If required sprinkle some water to get the tomato well done. 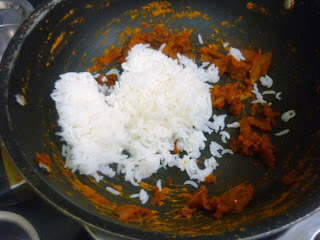 Next add the cooked rice and combine everything well. Finally add the roasted paneer and coriander leaves, cover and simmer for couple of minutes. 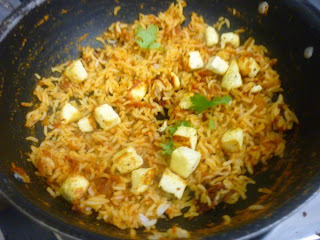 Coming to the Paneer part, well I know I have just added them without it being cooked. But I have two things, one Konda loves paneer and I was sure adding it to the dish will make her eat well. Next this being a fried version of rice, I was betting it was just fine. Come back to check out tomorrow's special when we start the second group!